Hello again folks, Capt Jesse McDowall here. 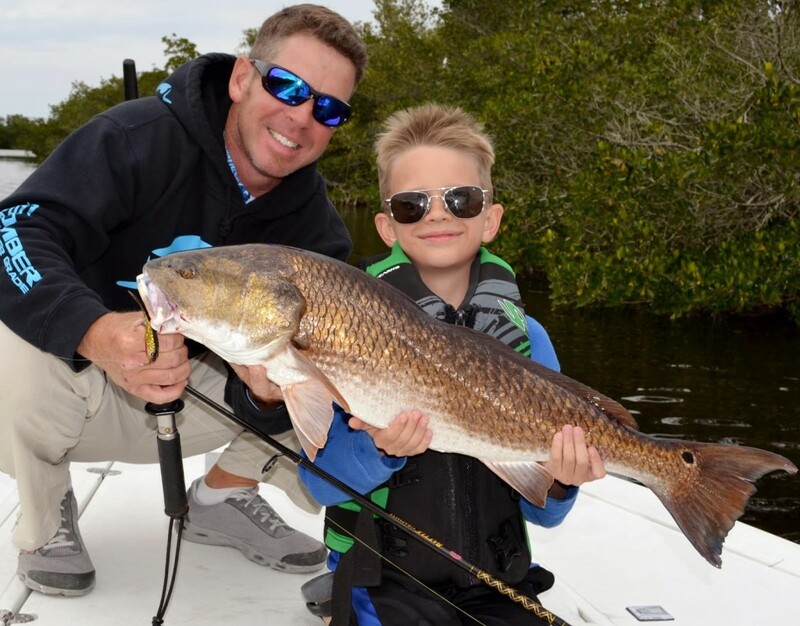 This time of year is my most favorite because here in SW Florida we have, yup… you guessed it, schools of big ol’ redfish! When targeting redfish, my personal favorite bait for flats and back country are topwater lures. 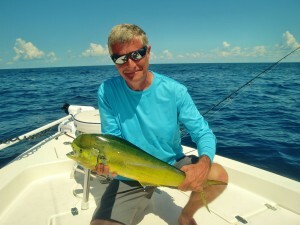 The best conditions for throwing these lures are the first few hours after sun up and when overcast conditions prevail. I like to throw top water baits like Heddon’s 4.5 Spook XT, Spook One Knocker, and Spook Jr. There is no substitute for the excitement and adrenaline rush when a huge snook or redfish crush that bait. Retrieving the lure is going to take a little practice. First and foremost let’s talk about what type of rod you should use. Graphite rods are much lighter than glass and won’t fatigue your arm after 5 casts. I like a graphite 7’ medium action rod with a fast tip. Work the lure in a “walk the dog” action and at a slow cadence. Most importantly, if a fish strikes at the lure… try your best not to jerk the rod to set the hook. This has hazards. If the fish misses that topwater, now you have 6 hooks approaching your head at a high rate of speed. Secondly, now you’ve just missed a second shot at that fish because it would have likely struck again if it didn’t feel the hooks. I’ve had redfish swat at a lure 5 or 6 times before finally getting hooked. As your fishing partner is laughing at you tangled up in your line, they’ve taken the opportunity to toss their bait on that fish you just missed. As the sun creeps up into the sky, I’ll change over to scented soft plastic baits with an eighth ounce jig head. Work it in a twitch pause… twitch pause… type of pattern and you’ll see most of your strikes will occur on the drop. The key to this retrieve is to keep light tension on the line as the bait falls to the grass or sand and then a quick snap to make that bait “hop” out of the grass. Offshore reports are still nothing less than excellent. We are seeing a lot of grouper and snapper on most of our known reefs as close in as 3 miles out! Gags and reds are being caught on trolling lipped plugs down to 30 feet and grouper will flat out rough up some live pinfish, squirrel fish, squid or any cut bait that you can get down to them. These guys are pretty territorial, so if you do manage to pull a good sized fish mark that spot and fish around it. If fishing hard bottom, more than likely that J.Y.D. has staked his claim and pushed out the smaller pups. Odds are you won’t pull another right there but they will be somewhat close by. Nearshore, the easiest way to find fish right now is look for the birds. We’ve had great success with a mixed bag of big king and spanish mackerel, permit and bonito from just outside of the passes… on out to about 3-6 miles. Some of the nearshore reefs are still smokin’ hot. The mangrove snapper are still easy to chum up and the best way I’ve found to trick these sneaky rascals if you choose not to chum is very simple. Use ¼ to ½ oz lead jig heads with 20 inches of 20-30 lb fluorocarbon and a live shrimp. Pinch off the tail and thread him on the hook like you would a soft plastic. Drop down until you hit bottom and then lift about a foot. Hold it as still as you can and wait for that infamous peck peck peck … lift slightly and if there is weight, stick him! Remember to keep a stout outfit rigged and “at the ready” …you never know when that bruiser cobia will stop by to see what all the commotion is about. I’ll keep one of my Penn Spinfisher V 6500 on stand-by with a 7/0 circle hook with 50 lb leader just for this reason. More times than not they will absolutely knock the snot out of a piece of cut bait or a jig tipped with a hunk of squid. If you’re ready to get out and see how we do it you can call us at 941- 698- 0323. Find me on Facebook, Instagram or my web page www.FloridaInshoreXtream.com. Well folks, you know the deal…gotta get on out and get my FIX on! So … tight lines and y’all stay safe! !